Am I weird?! 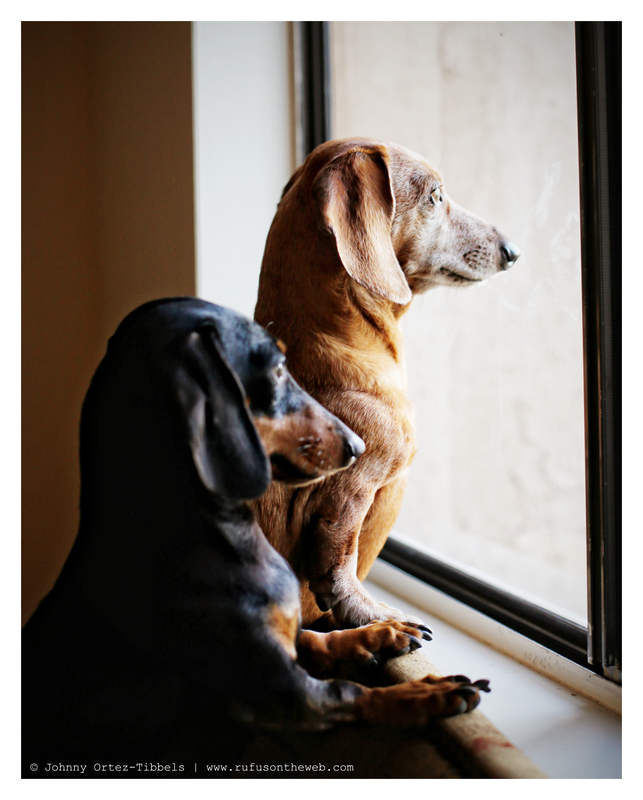 I love watching my dachshunds stare outside, and I especially love it when they do it as a pair. I try to imagine what they might be thinking; what they may be seeing or hearing. How about your dachshund?! Do you enjoy it when your dachshunds do the same!?? 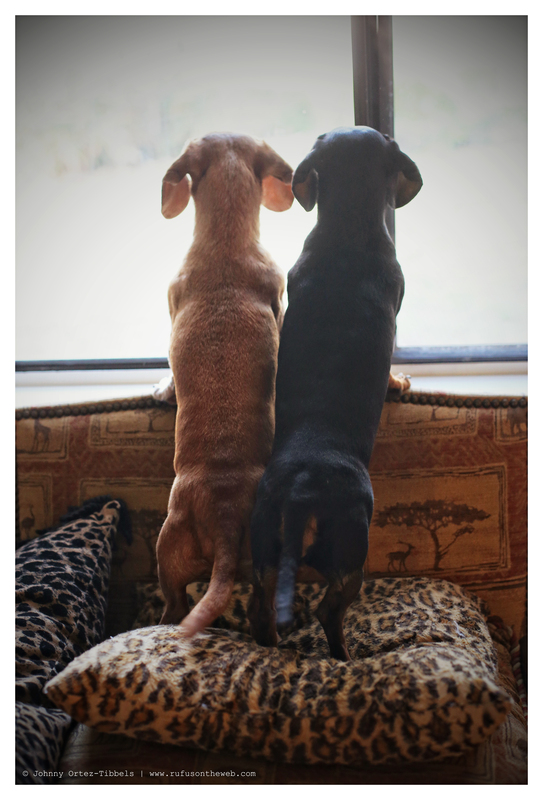 This entry was posted in Emily, Rufus and tagged #black and tan dachshund, #dachshund, #red dachshund, #smooth dachshund, #WindowShopping, doxies. Bookmark the permalink. I honestly just like watching my dachshund Gussie do anything! He is so funny and makes me laugh! He is much more entertaining than anything on tv! I so miss the sight like your first picture of your red and Black and Tan doxies on their feet looking out the window. I was privileged to have two of the most wonderful doxies in my life, but just lost my Black and Tan two months ago after 15 1/2 wonderful, loved filled years. My red passed two years ago at 12 1/2. What I wouldn’t give to see their beautiful faces again, and to be able to laugh at their watching everyone in the neighborhood from their “watch window”. Give your sweet doggies some extra kisses today from me, please. You are not weird! 🙂 Great images or the two! yup, my 2 love to watch out the window. It is the cutest thing ever to see them in the window watching for me as I am arriving home!! Just warms my heart! !